"He who has heard my music, must free himself of all human miseries." said Beethoven. 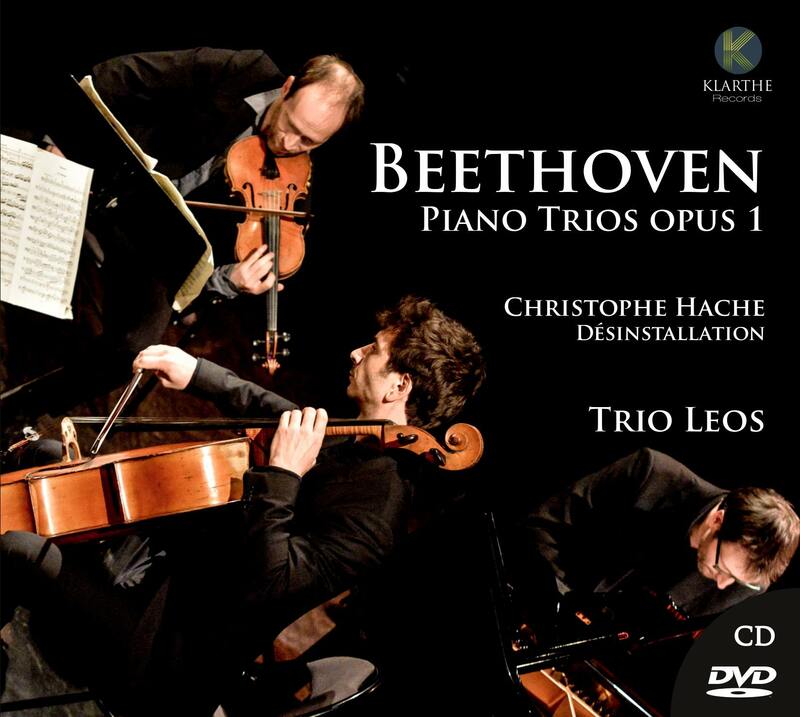 When Trio Leos recorded Beethoven's Trio Opus 1 more than two hundred years after their creation, they wished, of course, to join that long tradition of conservation and questioning of the great works of the history of music. Beethoven wanted to abolish the bounds of time. His past modernity is an impetus, a germinating strength which is still available. Christophe Hache, a musician with a wide cultural range (classical, jazz, contemporary music), bears witness to this original shock wave in his Désinstallation. 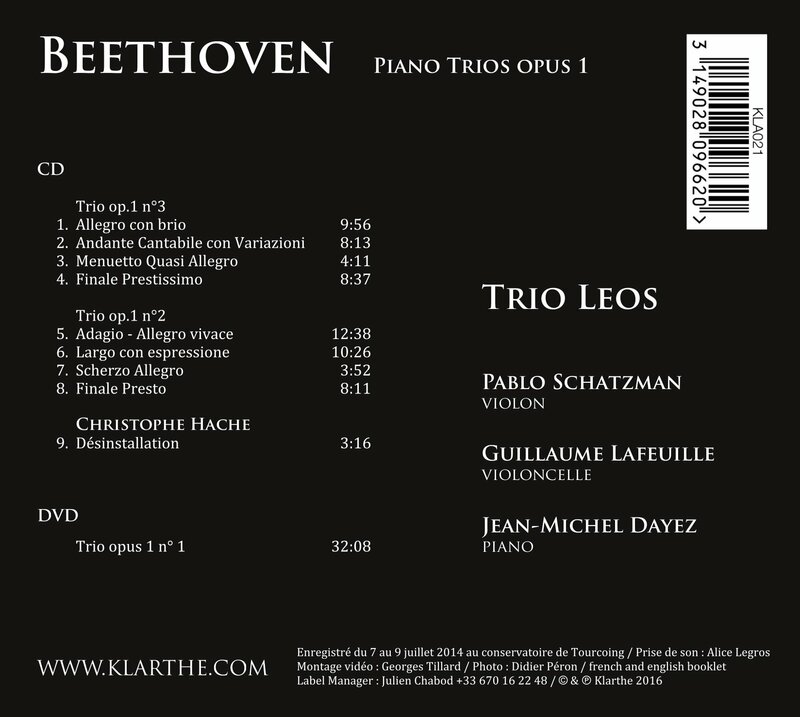 His piece, built on the finale of the second trio, is both resonance and amplification of Beethoven's energy.